“Margaret Thatcher, the most dominant British prime minister since Winston Churchill in 1940 and a global champion of the late 20th-century free market economic revival, has died. 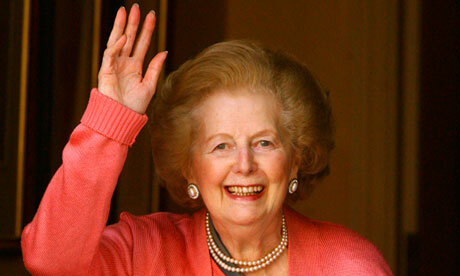 I wish I felt happier about Thatcher’s demise. I just feel robbed that the old racist monster never got punished for her horrendous crimes against the British working class (she did the ruling class proud). When you read the tearful eulogies, remember, she was best friends with dictator Pinochet (who murdered and tortured tens of thousands) but supported apartheid and called Mandela a terrorist. A vile human being. I mourn her as much as I mourn Hitler or Stalin.